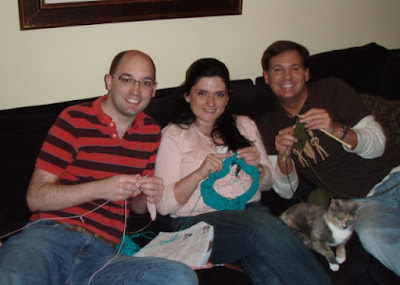 Kyle Knits - a boy, his cats and way too much yarn: We Knit! 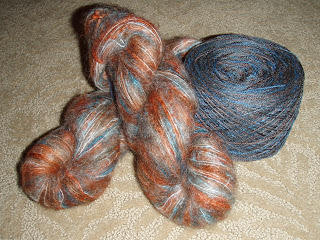 On Sunday I went to Alamitos Yarn Co. (at Seal Beach in the Marina) - kind of near Long Beach - for their big sale - I bought some amazing mohair for 50% off - and some hand dyed yarn from Lorna's Lace - I wound it and it's ready to be turned into a beautiful shawl! We had a great time but the traffic going home made the 1 hour drive take about 4 getting home - it was a slow drive but a rewarding yarn hunt. I can't wait to start the shawl! I love my yarn buddies!